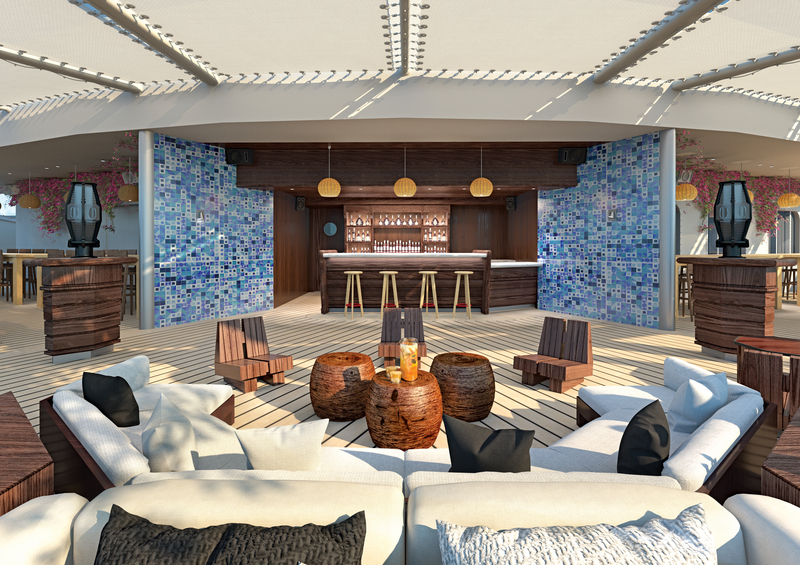 Voyages have unveiled the first peek into what their first ship will look like – and buoy have they got Richard Branson excited. One of the architects Rob Wagemans of Concrete, the creatives behind hotels such as Zoku and hotelm, agreed that even though it was a risky strategy to assemble architects who’d never cruised before, it was an appealing challenge. 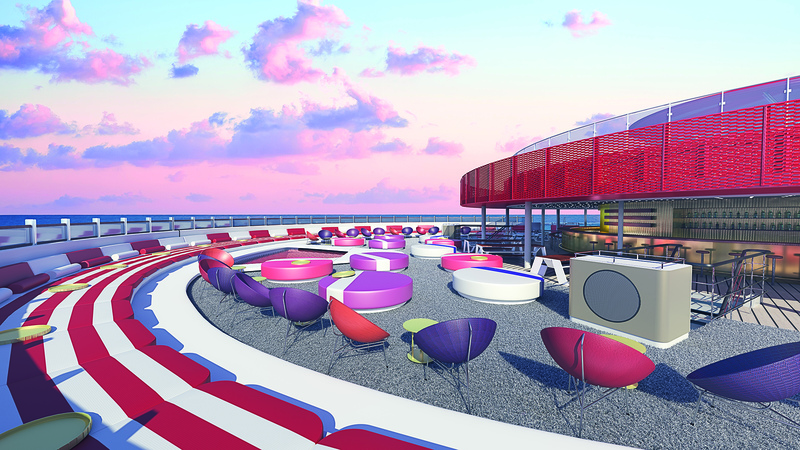 Virgin Voyages’ mission is to redefine what guests expect from a cruise. 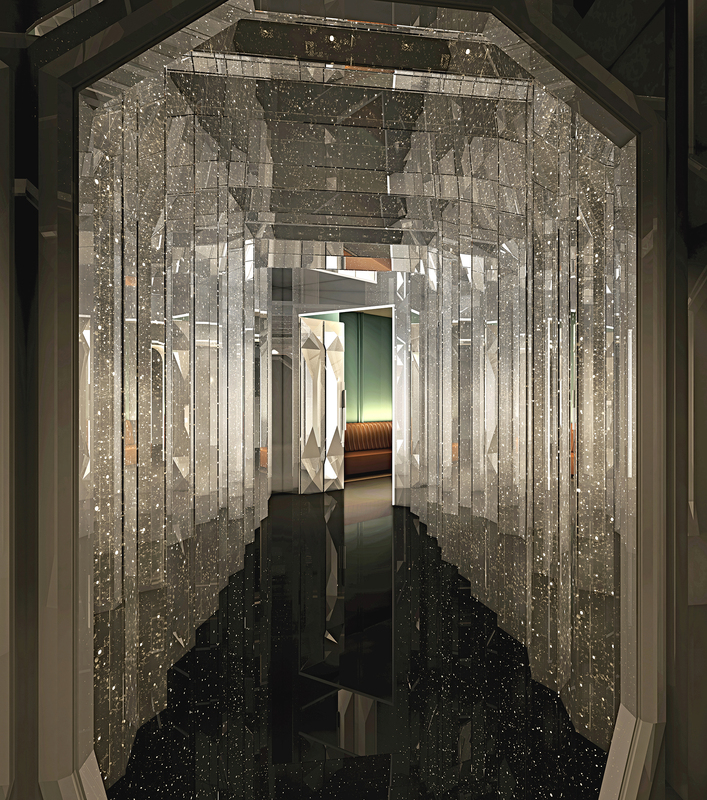 ‘Our design partners together with our internal design team have dreamed up eye-catching, intimate and alluring spaces that we can’t wait to see come to life,’ Tom McAlpin said. Branson should feel right at home on the inaugural sailing with Richard’s Rooftop on the ship’s top deck which is an exclusive outdoor lounge reserved for suite guests. It will have circular loungers, giant umbrellas and coloured dichroic glass to throw ‘rainbow reflections’ across the private club. The Virgin boss’s influence is everywhere. The signature nightclub on board, The Manor, was inspired by his history in the music industry and his first music studio of the same name. With opulent shades of emerald, aubergine and gold, the Manor is putting on the glitz at sea. 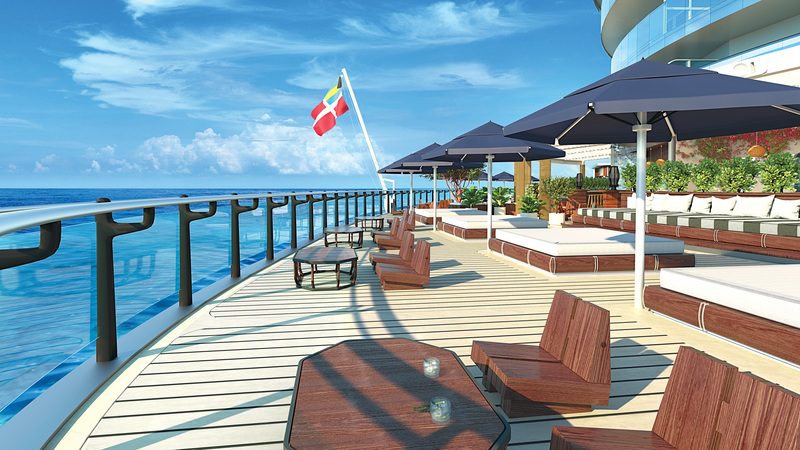 Elsewhere on deck The Dock, a chic outdoor lounge, is reminiscent of seaside lounges in the Hamptons, while The Athletic Club features the largest daybed at sea and 10 cabanas overlooking the ocean. 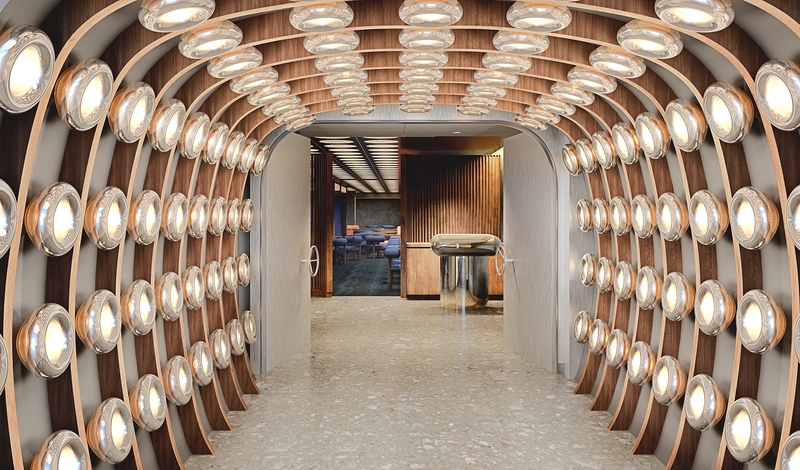 We know there will be a host of restaurants on board but so far only the Mexican, Pink Agave, has been revealed in what Virgin Voyages are calling their #ShipTease. 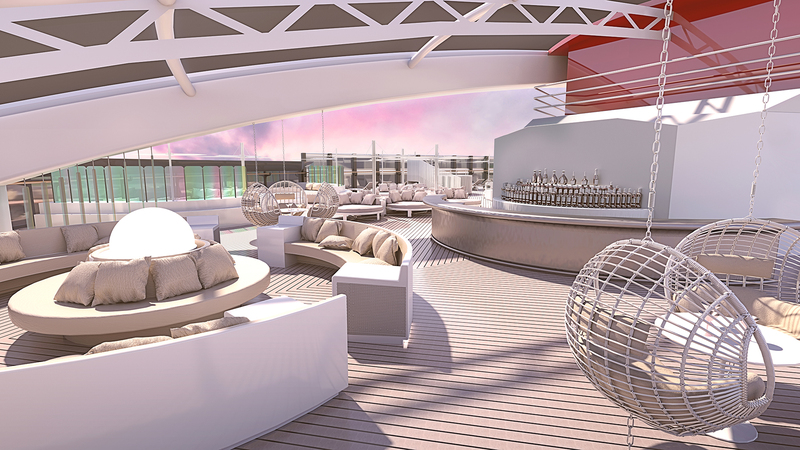 Virgin Voyages first ship will arrive in PortMiami in 2020 from where she will sail to the Caribbean for her first season, carrying 2,700 guests and 1,150 crew.